The last few weeks I’ve been so in love with the projects that have been shared on the Vintage Keepsakes blog hop! There are all sorts of fun ideas – I can’t wait for you to see them! Amanda from Jedi Craft Girl made this darling Heart Garland! Isn’t it just the cutest!?! 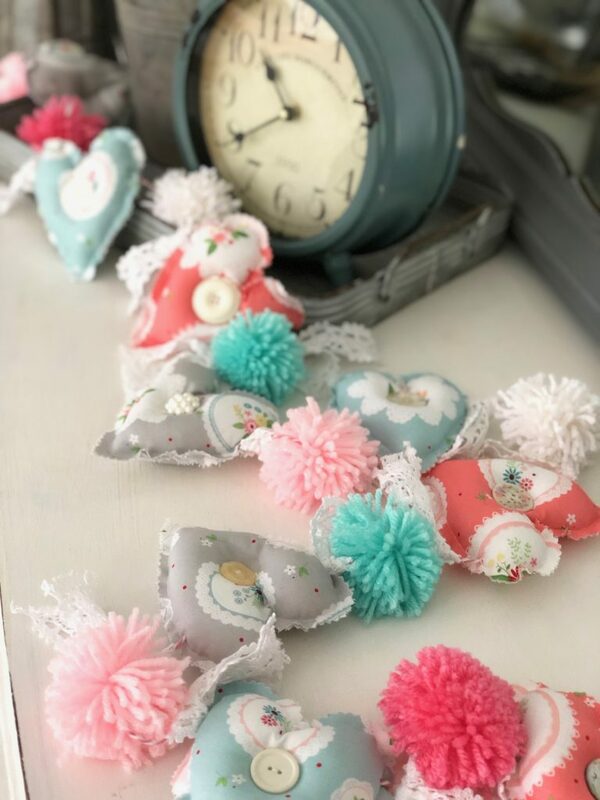 I love the combination of Vintage Keepsakes with the lace and pom pom trim. She has a fabulous tutorial as well so make sure you click over and check it out. Also – the photo of the garland in her kitchen window under her vintage handkerchiefs valance is just so sweet! If you’re not familiar with Amanda she makes amazing quilts, mini quilts and all sorts of projects. Plus, she has the most adorable little mascot – Mufasa! You’ll become obsessed with him! 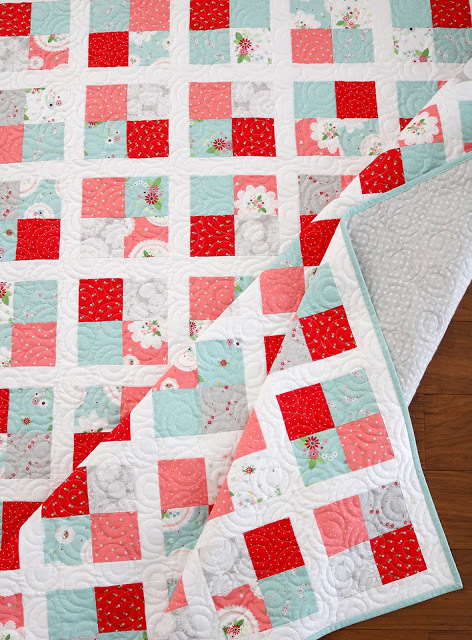 Andy from A Bright Corner made up a gorgeous Four Patch Quilt! Isn’t it so pretty! I love how simple quilt designs really let the fabric shine! Andy has a tutorial for making four-patch blocks and she’s giving away the pattern in her newsletter so make sure you sign up for her email list! Andy is such a talented quilter and sewist! 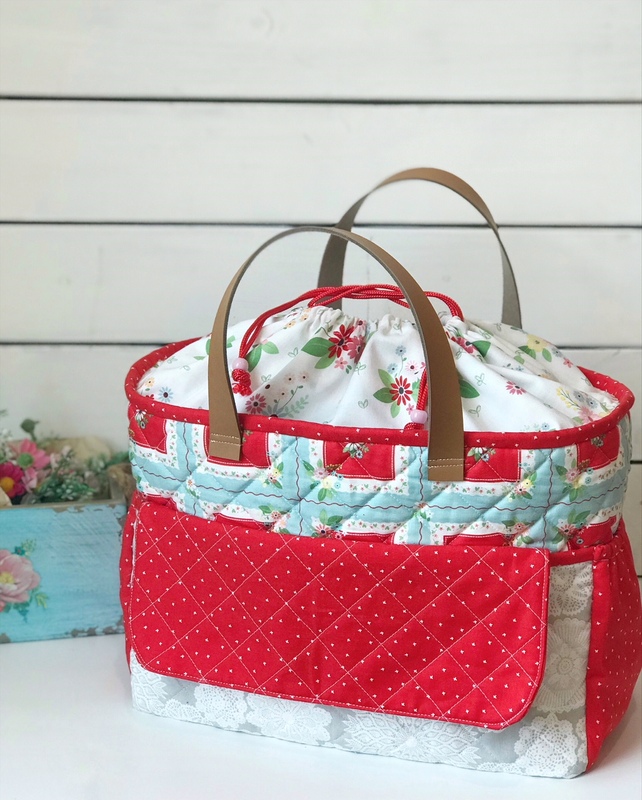 Make sure you visit her shop- she has so many fabulous quilt patterns! Karen from Creamcraft Goods made the most amazing bag with Vintage Keepsakes! She calls it the Everything Bag and I’m obsessed with it! Isn’t it great? All those pockets – combined with that drawstring top?! I think Karen is going to be working on a pattern soon! I’m going to be first in line to buy it because I need this bag!! Karen has so many great projects! I especially love the Busy Bag she made up with Gretel fabric. It’s such a great size! If you’ve made up a project with Vintage Keepsakes I’d love to see it! You can share it on my Facebook page or on Instagram with the hashtag #vintagekeepsakesfabric. You can also join my fun Facebook group! We have so much fun – we share projects, give tips and have giveaways! I’ve put together my Vintage Keepsakes Shops page too! 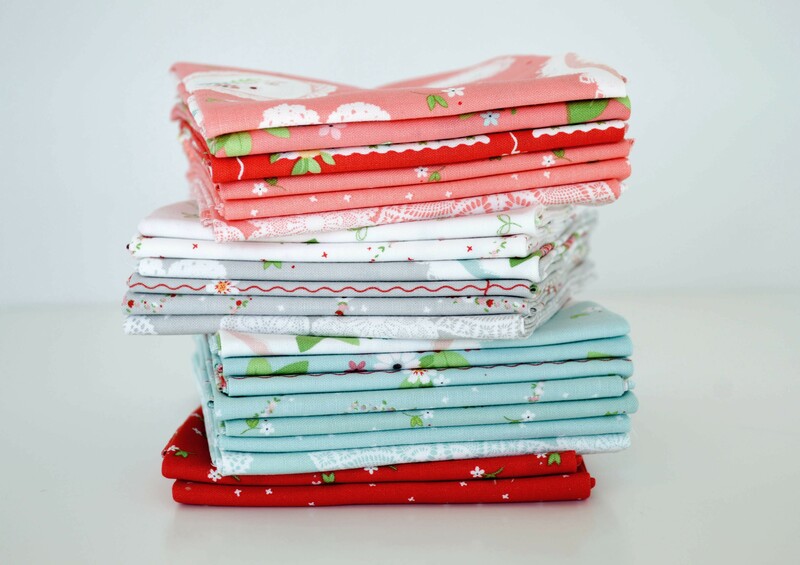 If you’re looking for fabric that is a great place to start. The fabric is still arriving in shops, especially internationally, so I’ll update it as it arrives in more shops. And if you’re a shop owner and have it in stock, let me know and I’ll add you to the list! I adore these three projects!